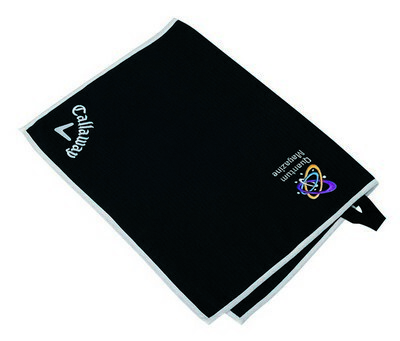 Our Callaway Players Towel features a woven loop attachment for easy access and allows inserting brand logo to create amazing Custom Logo Products. Prepare your valuable sports loving customers for the hot summer days on the golf course by handing them the Callaway Players Towel at the next promotional event! 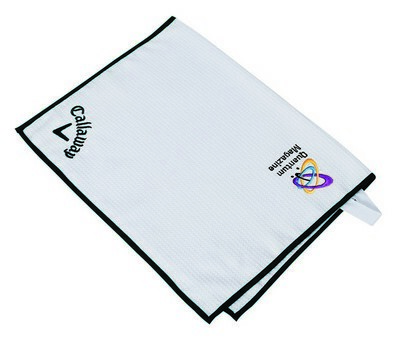 This large sports towel measures 30” x 30” and features an absorbent microfiber construction with woven loop attachment for ease of access. The towel comes in a variety of color options to best suit your corporate logo and message. Insert your brand details and make sure that your brand impression stands out at the upcoming events.